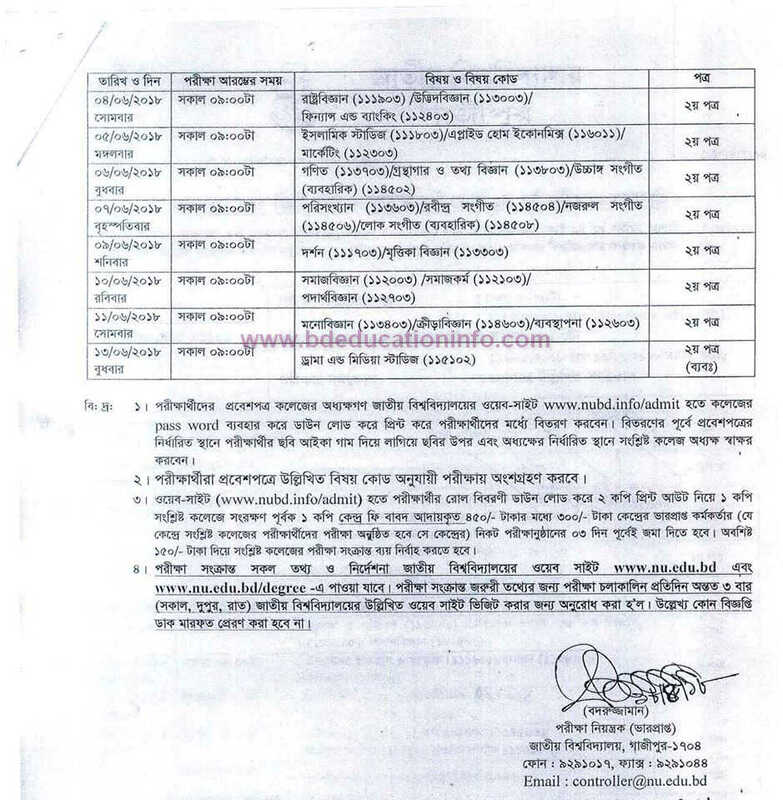 National University Degree 1st Year Routine Published ! 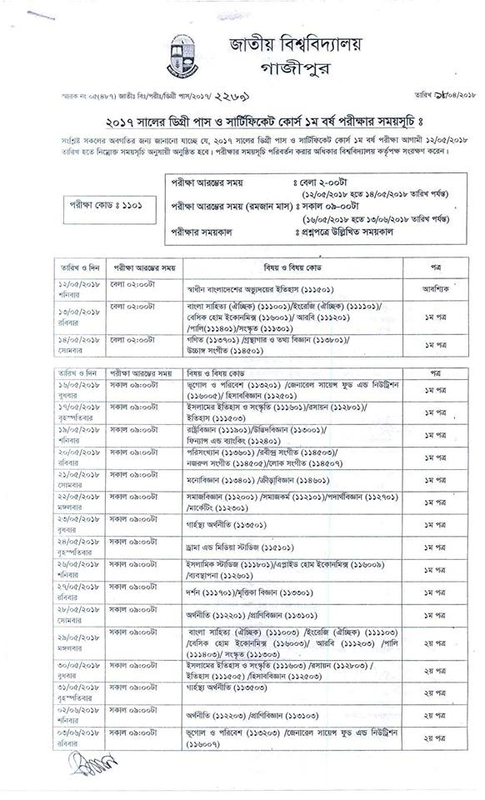 You can Download Degree 1st Year Exam routine 2018 from nu.edu.bd . Degree First Year Exam will be Start on 12 May 2018 and Exam end on 13 June 2018. Let`s Check Below Degree 2017 Pass & certificate Course Exam Routine as a JPEG and PDF format. National University Degree 1st Year Exam will be held on 12 May 2018 . For Download Full Exam Schedule of Degree First year save below this Image on your Device. Hope You Download NU Degree 1st year Routine From bdeducationinfo.com . For Next Updates about Degree 1st Year Exam Result or Any Updates Keep Visit this Website. You can Also Connect With Us On Facebook For More Updates about Degree Result, Routine, Notice etc. Thanks For Stay with Us. This entry was posted in Exam Routine, Notice and tagged NU Degree Routine 2017 by admin. Bookmark the permalink.